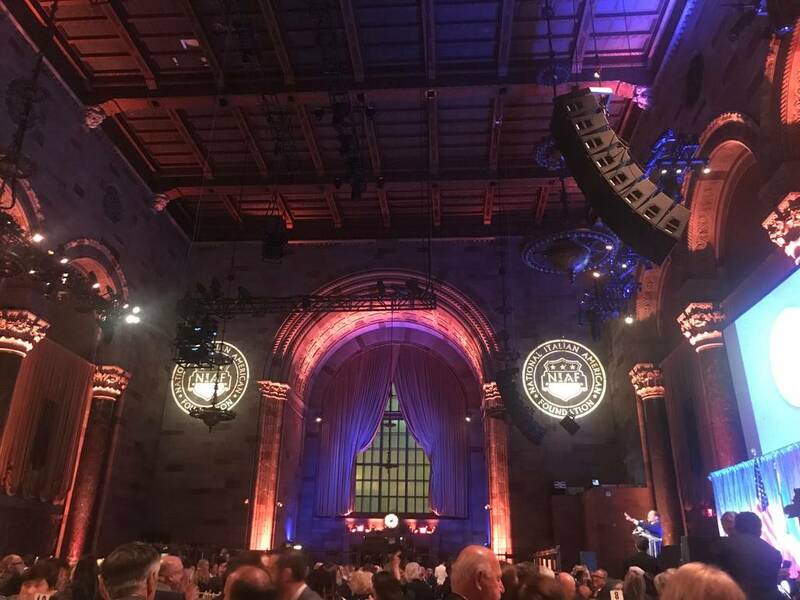 The annual National Italian American Foundation (NIAF) 2019 New York Gala took place last night at Cipriani 42nd Street to celebrate and promote Italian American excellence across various fields. This year’s honorees were Judge Frank M. Ciuffani, Lorenzo Zurino, and Marylou Delfino Berk. The event was presented by NIAF's Celebrity Ambassador and radio host Joe Piscopo and entertainment was provided by the talented Romina Perri, a ten-year-old singer from New Jersey. The evening began with a cocktail reception, during which guests had the chance to meet with celebrities and honorees, mingle, sip on Cipriani’s famous Bellinis, and bid on a selection of items included in the Gala’s silent auction, which is organized every year to raise funds for the Foundation's initiatives, mainly the awarding of scholarships to Italian American students. 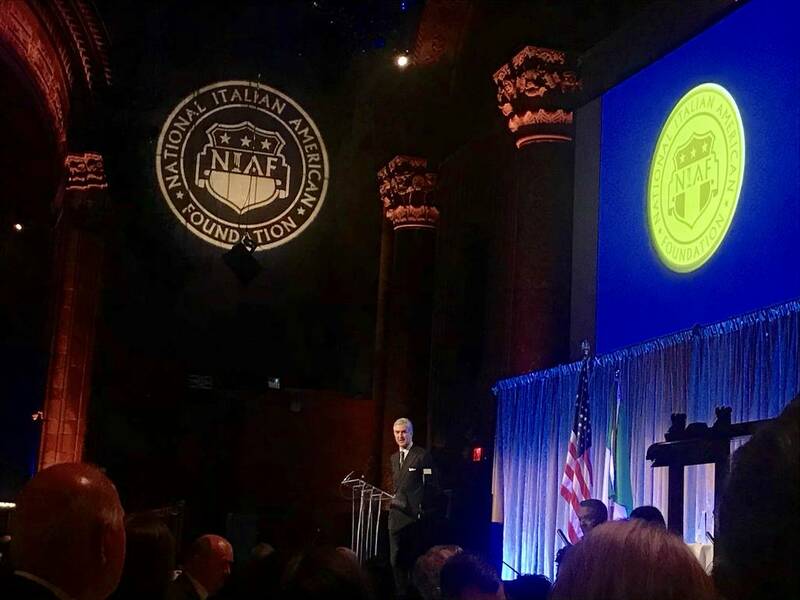 "It's a fantastic moment, very anticipated here in New York," commented the Counsul General of Italy Francesco Genuardi, "A further demonstration that the New York chapter of NIAF is alive and kicking, full of vitality and awareness of how much this organization contributes to the city." It was then time for the seated award ceremony, introduced by a video dedicated to the region of Molise in Southern Italy, which was selected as the NIAF 2019 Region of Honor. 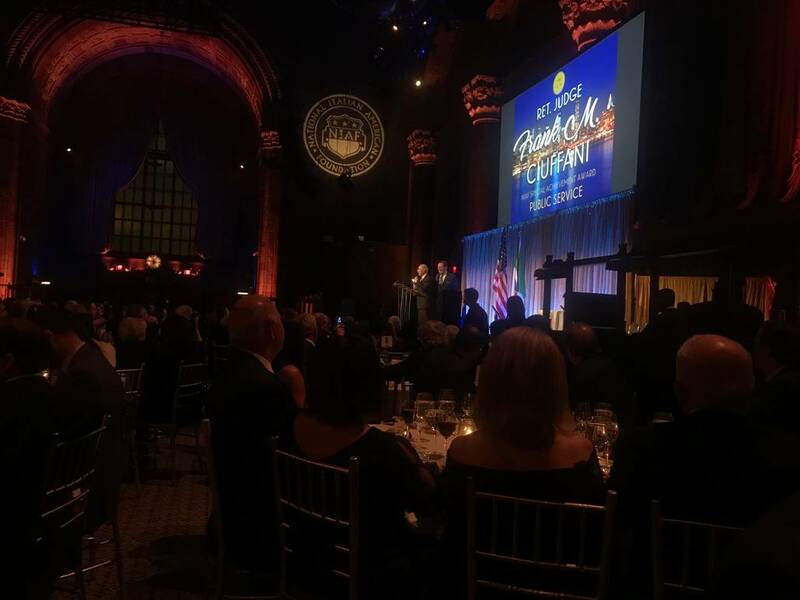 The ceremony was presented by show business performer and TV personality Joe Piscopo, who enthusiastically introduced the special guests and honorees of the night, and entertained the guests with a heartfelt interpretation of the classic song New York, New York. Further entertainment was provided by the adorable ten-year-old Italian American singer Romina Perri, whose remarkable voice stunned the audience as she sang the Italian and American national anthems and later moved the crowd with her interpretation of the classic 1940 Italian song by Cesare Andrea Bixio “Mamma Son Tanto Felice” (Mom, I’m so happy). The first honoree to take the stage, Senior Managing Director and Head of Commercial Real Estate at LeFrak, Marylou Delfino Berk, gave an inspiring speech as she accepted her award, sharing with the audience her most important word: determination, which she had printed out on paper cards placed at each seat. She was followed by Judge Frank M. Ciuffani, General Counsel at Wilentz, Goldman & Spitzer, P.A. 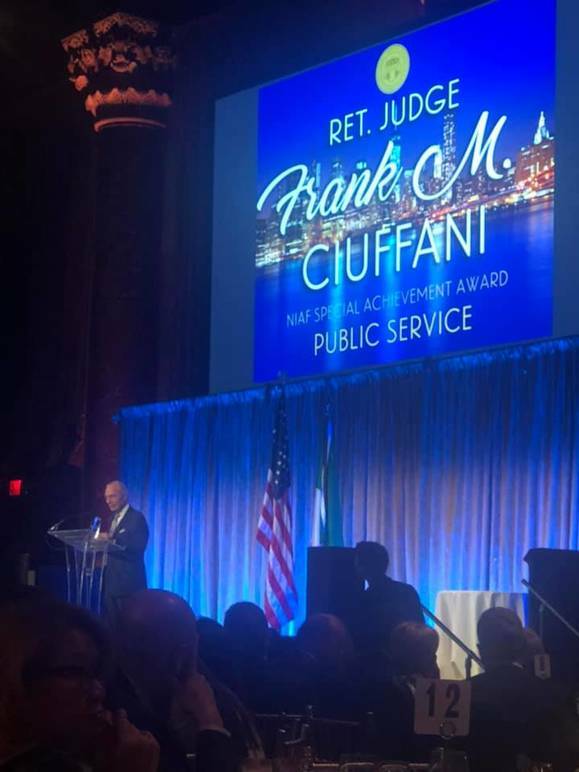 and Chair of the firm’s Alternative Dispute Resolution practice, who amongst numerous accomplishments served as a judge on the New Jersey Superior Court on several occasions and presided over various key cases in the regions of New York and New Jersey. Finally, came the turn of Lorenzo Zurino, founder and CEO of The One Company, one of the first Italian companies specialized in the internationalization of businesses, which has become a special reference point for many of the largest Italian industrial companies in the Food sector. 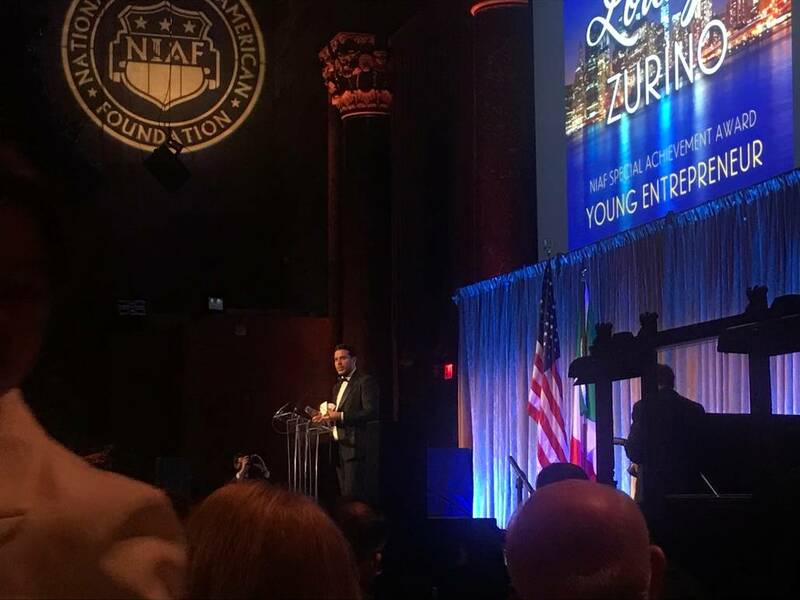 Zurino, who is also Director of Import at Nastasi Foods, humbly accepted his award, in a moving speech in which he expressed his gratitude and pride in receiving such recognition and acceptance from the Italian American community. The National Italian American Foundation (NIAF) is a nonprofit, nonpartisan organization that promotes Italian American culture and heritage. 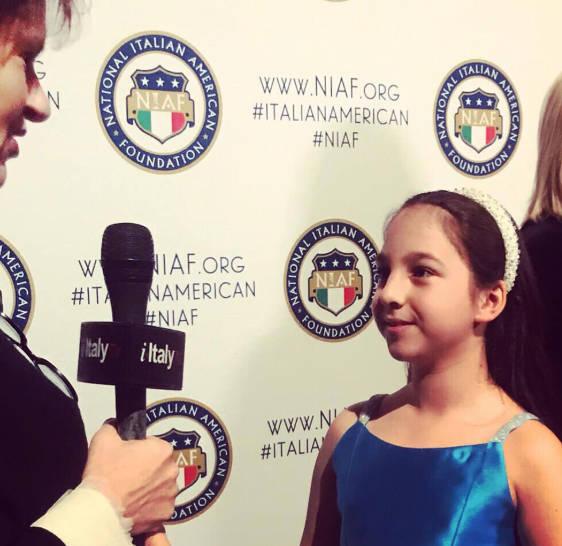 NIAF serves as a resource for all things related to the Italian American community, offering educational and youth programs such as scholarships, grants, heritage travel, and mentoring. NIAF is also the voice for Italian Americans in Washington, DC, working closely with the Italian American Congressional Delegation and the White House. NIAF’s mission includes advancing US-Italy cultural, political, and economic relations, complete with a business council that encourages networking among corporate leaders.